With so many paranormal books out there, I always get excited when I find one that takes off in a new direction that I haven't seen before. 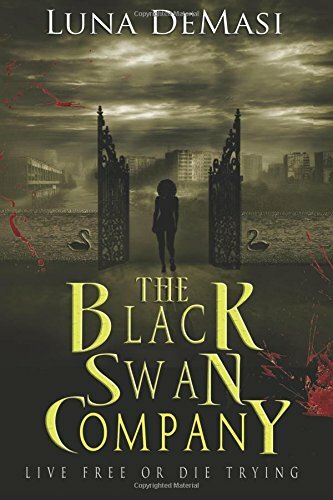 The Black Swan Company reminds me a little of The Omega Man by Richard Matheson. But there are more political implications and a lot of thrills as our heroine fights for survival, the truth, and in the end, love. There is a lot of dialogue in this book, but DeMasi makes it seem effortless. I had no trouble keeping up with the plot, the characters, or in believing the direction she took. Without giving away spoilers, I have to say that the biggest shock to me was that the main Sanguine character is not what I expected him to be. And it was a breath of fresh air. Absolutely lovely. I had a lot of fun reading this book and look forward to more in the series. Luna DeMasi was born in New York, but currently resides in southeast Michigan. She holds a B. S. in psychology, a master’s of library and information science, and loves scary stories. It involves so much thinking; staring at walls, listening to music, and thinking. Then, obsessive writing! The editing. Oh, how I hate editing...I'm a perfectionist about that kind of stuff. Perfect quiet with nothing else that needs to be done in the mundane world to distract me! To get all of my ideas for stories in book form!